L.A. gets a bad rap for its rapid transit, with some saying it doesn’t go anywhere worthwhile. Metro has been working on remedying that problem for decades, and it looks like Las Vegas is finally doing the same for their nascent system. 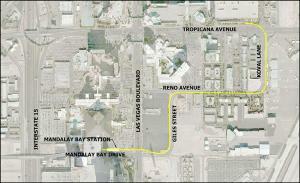 Clark County—home of Vegas and the Strip—is working on approvals for a mile-long extension of the infamous, and occasionally troubled, monorail, which will add a station at Mandalay Bay on the Strip’s far south side. Meanwhile, an in-fill station may be built at the Sands Expo and Convention Center. 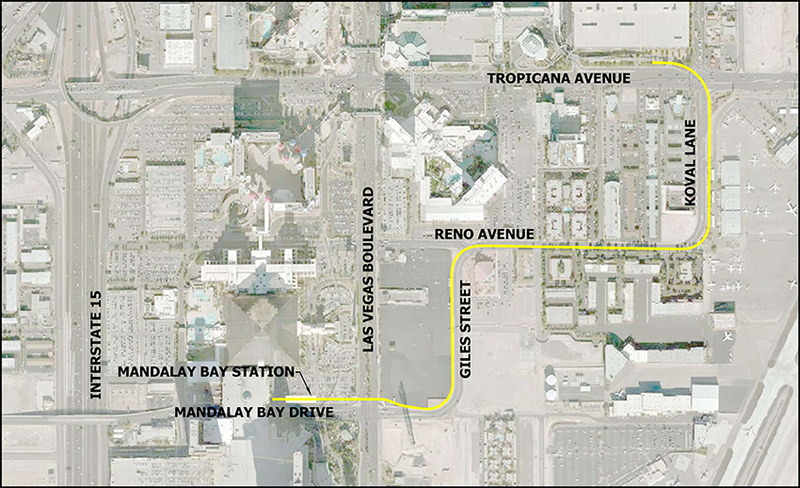 The extension and two new stations would connect three huge convention spaces (Las Vegas Convention Center, Sands Expo, and Mandalay Bay Convention Center) and bring the train within walking distance to a proposed football stadium just west of the 15. Fans heading to a possible Las Vegas Raiders game would get off at Mandalay and cross a pedestrian bridge to access the stadium. Save for some last minute negotiating with the Southern Nevada Water District Authority over a water pipe that the train will run near, the extension is moving forward. Construction will start next year and take only a year and a half. Sin City’s monorail is currently less than four miles long (for comparison, the Expo Line is 15 miles) and runs on the east end of the Strip, often leading to long walks to casinos and hotels. 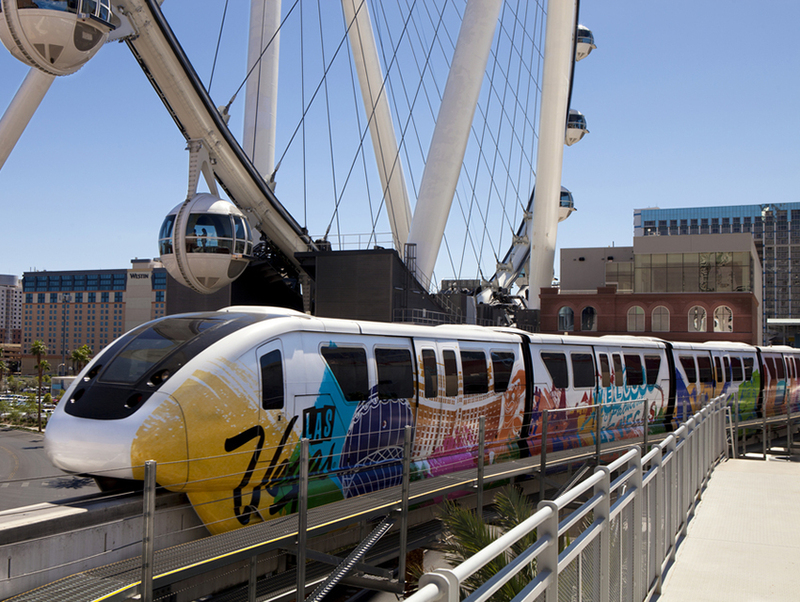 The monorail’s limited destinations and odd placement meant it never completely caught on as a viable transportation alternative in Vegas; after six years of operation, the monorail filed for bankruptcy in 2010. Ridership has picked up from those dreary recession days, and there’s hope that the extension will build on that momentum. The Mandalay station will bring the monorail even closer to McCarran International Airport, but there’s currently no discussion on a station there, though it’s long been bandied about. Connecting the monorail to downtown Vegas could be a boon for both ridership and the gentrifying city center. Officials will likely see how their Mandalay bet pays off before doubling down on the train. For Angelenos, monorail expansion is definitely a net-plus; the casinos are phasing out free parking and getting a cab or Uber on a Saturday night in Sin City is painful. Currently, a monorail ride is only $5 and the views are a lot better than what you see idling on the Strip.